Truck accidents can be more catastrophic than collisions between two personal vehicles. This is due to the much heavier weight, especially with a fully-loaded truck. Truck accidents can also be worse if they are carrying freight like flammable or hazardous materials. A truck accident may not be fault of the operator and caused by the negligence or other drivers or unforeseen road hazards. Like most personal injury cases involving vehicular accidents, the main legal theory of liability is negligence. Those injured in a truck accident must prove that the driver or trucking company owed them a duty to exercise reasonable care, failed that duty by breaching it and their injuries were a direct result of breaching that duty. When initiating a lawsuit due to a truck accident, it’s important to identify and name as many defendants as possible. Liability may be not be limited to just the truck driver. Other potential defendants include employers, contractors and trucking companies. When an employee-employer relationship exists, the shipping or trucking company may be held liable for the driver’s negligence. 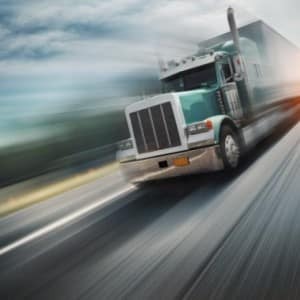 An experienced personal injury attorney would show that the company exercised some degree of control over the truck driver, and that the incident occurred while the driver was in the scope of employment. 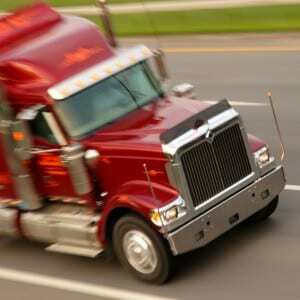 This can be a challenge if the truck driver is an independent contractor of a larger company. The key factor is how much supervision is done by the larger company. It’s important to note that it’s likely the larger company will have a separate policy. Sometimes the shipper or manufacturer of dangerous material carried by the truck may be held liable for injuries sustained. If you’re injured in a truck accident due the negligence of the driver, you may be entitled to damages, such as financial losses from medical expenses and pain and suffering. Dangers unique to truck accidents include jackknifing and turning accidents. Big rigs are prone to jackknifing under certain conditions, such as slippery roads and sudden braking. If the driver of a rig has jackknifed due to unforeseen slipperiness of the road or in order to avoid a motorist, they may not be held negligent. Large trucks can be difficult to turn and often require the use of two lane to make a turn. Generally, the court has ruled negligence on behalf of the truck driver when two lanes were used to make a turn. The stats on truck accidents are disconcerting. Almost 10 percent of car accident fatalities involve large trucks like tractor trailers and big rigs, and 4 percent of all injuries in motor vehicle collisions are caused by large trucks. When a large truck is involved in a collision, 85 percent of fatalities and 77 percent of people injured are the drivers and passengers of the smaller vehicles involved in the collision. Over the past two decades, truck accidents have increased by 10 percent. Many attribute this due to long driving hours and failure to adhere to speed limits in order to meet tight deadlines. After a truck accident, injured parties are often left traumatized. If you or a loved one has been involved in a truck accident, it’s best to consult with an experienced truck accident attorney. An experienced truck accident attorney will gather all of relevant information, including traffic violations, employee contracts, police reports, witness statements and other information to assess whether or not you have a viable claim. 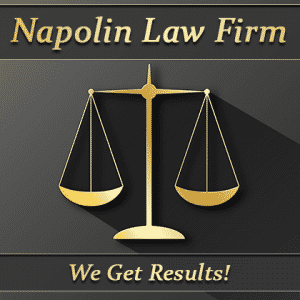 Turn to the Law Firm of Napolin for legal help. Our attorneys are experienced in truck accidents and are there to protect your rights and aggressively fight for justice on your behalf. Give us a call today.